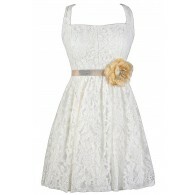 This simple cream A-line dress has contrasting black lace insets that really make it stand out. 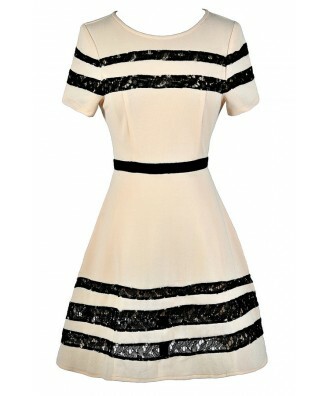 The Cream and Black Lace Inset A-Line Dress is unlined. It has a rounded neckline, short sleeves, and a classic A-line cut. Stripes of lace at the bodice and hemline of the skirt add contrast to this style. A hidden back zipper completes this dress. 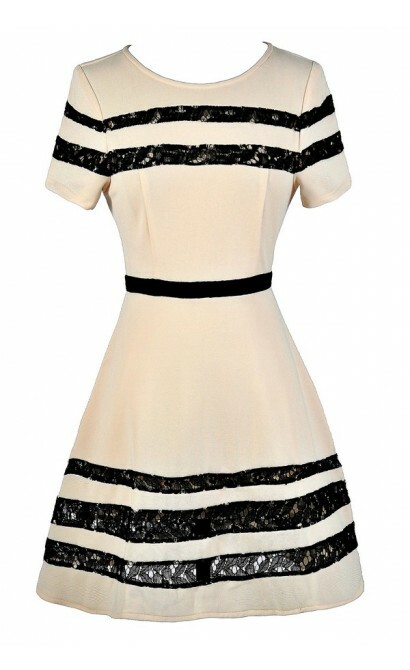 The Cream and Black Lace Inset A-Line Dress would look nice paired with black pumps or heels. Pair this dress with black tights in the fall and winter. This is a dress that can be worn in all four seasons, depending on how you accessorize. Details: Unlined. Hidden back zipper. 95% polyester, 5% spandex. Hand wash cold with like colors. Do not bleach. Low iron. Small measurements: Length from top of shoulder to hemline: 33". Bust: 32". 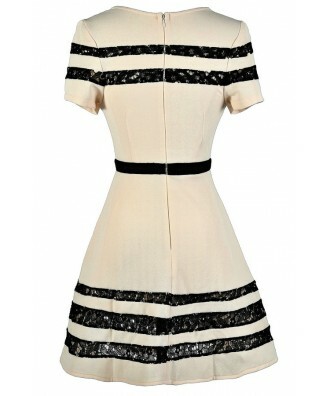 You have added Cream and Black Lace Inset A-Line Dress into Wishlist. 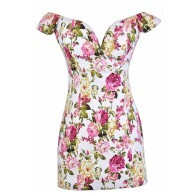 You have added Cream and Black Lace Inset A-Line Dress for Stock Notification. 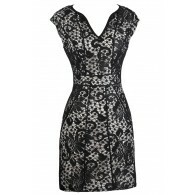 You have set Cream and Black Lace Inset A-Line Dress as a loved product. You have removed Cream and Black Lace Inset A-Line Dress as a loved product.